Beautiful New Southern Pines Listing! 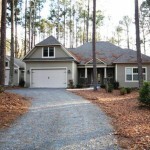 Beautiful craftsman style home built by Jose Camina in a great Southern Pines neighborhood. This homes has a wonderful open floor plan with hardwood floors. Designer kitchen with granite counter tops, walk in pantry, stainless steel appliances and granite island. It also has a gorgeous master bath, beautiful built-ins, a deck perfect for entertaining, and so much more. The home sits on a beautiful wooded lot in the Sandhurst area, that is a short distance to Sandhills Park. There is an additional one car garage or workshop. Close and convenient commute to Ft. Bragg!